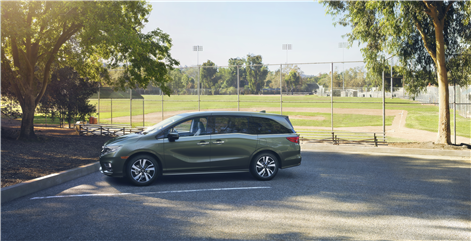 The new 2018 Honda Odyssey is the perfect ally for your family if you are tired of running out of space. 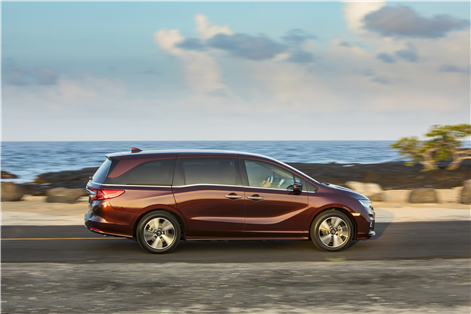 The new 2018 Odyssey offers an array of safety and connectivity technologies, plenty of interior space, a powerful andfuel-efficient engine, and exclusive features such as a vacuum cleaner. 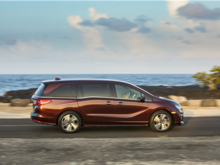 Offered starting at $ 34,890, the new 2018 Honda Odyssey also offers one of the industry's best reliability ratings, and financing and leasing offers that make it much more affordable than you think to buy Honda’s new minivan. 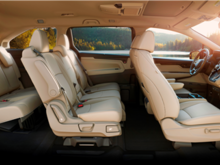 The new 2018 Honda Odyssey offers space for eight passengers in all its versions, and more than 4,000 liters of cargo space when you lower the rear seats. Even with all seats in place, there is almost 1,000 liters of cargo space. 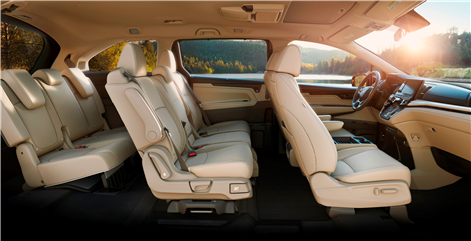 This means that even with 8 passengers on board, you still get more cargo space that what most SUVs offer. That's the advantage of a minivan. There is space for everyone and their luggage. 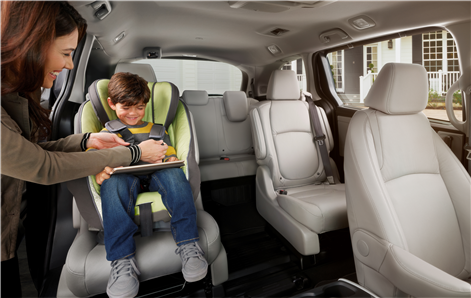 In addition, you get standard Wi-Fi access in every version of the new 2018 Honda Odyssey while the high-end Touring model offers a DVD player to keep your children busy on long trips. The new 2018 Honda Odyssey is able to fulfill all your expectations in terms of safety as well. It offers, as standard, a range of driver assistance technologies including automatic braking and collision prevention system, foward collision warning system, lane departure warning and prevention, and adaptive cruise control. There are also airbags everywhere including for your knees. The 2018 Honda Odyssey comes standard with a 3.5-liter V6 engine developing 280 horsepower and 269 lb.-ft. of torque. This engine is paired with a 9-speed automatic transmission in most versions while a 10-speed automatic transmission is standard in the high-end Touring model. In addition to delivering reassuring performance, this engine is also fuel-efficient with an average fuel consumption rating of only 8.4 liters per 100 kilometers on the highway. To learn more about the new 2018 Honda Odyssey, contact us today at Fundy Honda!